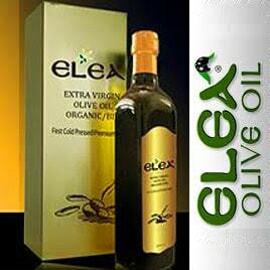 Why focus on olive oil’s health benefits? As Dr. Eleni Melliou, president of the nonprofit World Olive Center for Health, said, “we have in our hands very serious data about the therapeutic properties of high phenolic olive oil.” Some of that data was presented for the first time on May 17 at the Old Parliament in Athens, with more than 400 olive oil producers and scientists in the audience. That 2012 health claim was just the beginning; scientists including Melliou and Professor Prokopios Magiatis of the University of Athens began investigating what else olive oil polyphenols could do for human health, and which phenols showed the most promise. Based on tests in their lab, Magiatis and his team selected appropriate olive oils for use in the two clinical trials whose success was revealed on May 17. Magiatis and Melliou are also involved in the European Interreg Med Aristoil program, “a transnational effort to produce olive oil with officially recognized and certified healthy properties,” with Greece, Cyprus, Spain, Italy and Croatia participating. 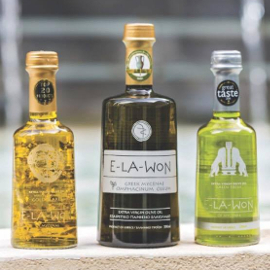 Results from the first two clinical studies featuring Greek high phenolic extra virgin olive oils (EVOOs) were then announced for the first time. The world’s first intervention with leukemia patients using olive oil rich in oleocanthal is being supervised by Professor Paola Rojas of Peloponnese University and hematologist Dr. Ioannis Kontonis at the hospital of Sparta, who works with patients with chronic lymphocytic leukemia. 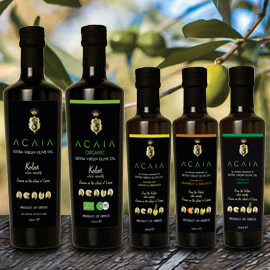 For this, the Dafnis family donated their Governor EVOO, which was made from the Lianolia Corfu olive variety. Ten patients consumed 40g of this olive oil daily (split into two doses, one each in the morning and evening) for three months. At the same time, a second group of five patients consumed the same amount of high phenolic olive oil that did not contain oleocanthal. Earlier studies at the cellular or experimental animal level had already provided evidence of the anticancer effect of oleocanthal, but this is the first time there is strong evidence of the therapeutic properties of high oleocanthal olive oil in actual cancer patients--a very important innovation in the Greek scientific community. Of course, this was a small study, and the results must be confirmed by far more extensive trials. World Olive Center for Health president Melliou announced that the Center will provide financial support for such clinical studies and will award special fellowships to researchers focused on olive oil and health, and she invited donations for these purposes. Professor of Neurology Magda Tsolaki at the Aristotle University of Thessaloniki is supervising a second groundbreaking study involving 150 patients with mild cognitive impairment (the initial stages of Alzheimer's disease). 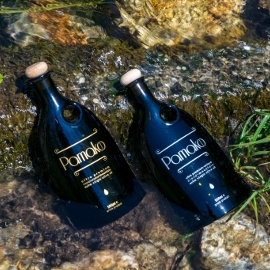 For this clinical trial, a high phenolic unripe olive oil from Chalkidiki, northern Greece that is particularly rich in oleocanthal was donated by Ioannis and Evi Prodromou of Yanni’s Olive Grove. One group of patients was given 50ml of this olive oil each day for one year, while a second group consumed another olive oil from Chalkidiki with fewer polyphenols, and a third group ate whatever olive oil they bought in supermarkets. The Chalkidiki unripe oil was the most successful in reducing the symptoms of mild cognitive decline, especially in comparison with supermarket olive oil. While many earlier studies with experimental animals at various universities around the world have foreshadowed such results, this is the first time the action of high phenolic olive oil in the protection of the central nervous system has been verified in humans. 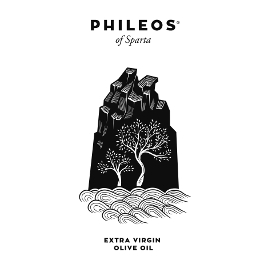 In this third edition of the Olympia Health & Nutrition Awards, many high phenolic extra virgin olive oils from several different countries were identified. 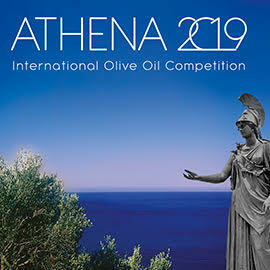 At the awards ceremony organized by the University of Athens and the World Olive Center for Health, 86 Greek extra virgin olive oils from various parts of the country received Gold Awards, indicating that they each contain more than 1000 mg/kg total healthy phenolic compounds, according to chemical tests. The top Greek winner was Lambros Vlachos from Lakonia. 171 Silver and 248 Bronze Awards also went to exceptionally healthy Greek olive oils, in addition to five awards for the support of research. Thanks to Prokopios Magiatis for his help with this article, and thanks to the World Olive Center for Health for the photos.